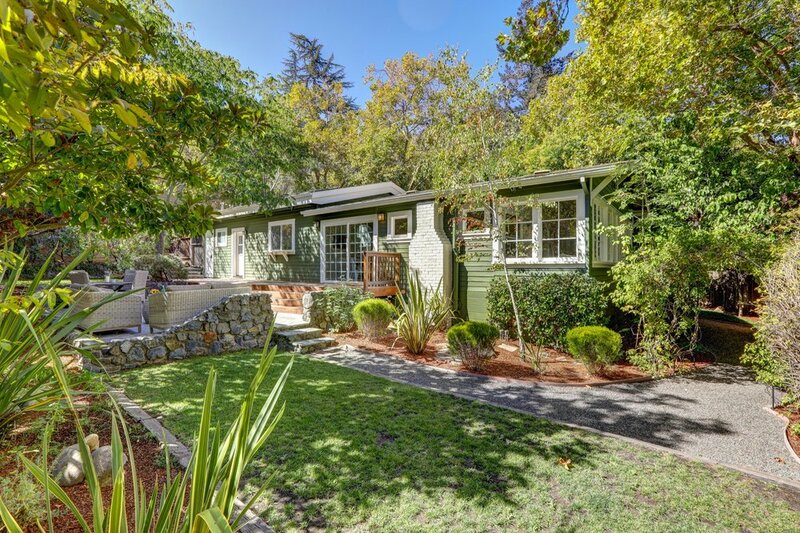 Located in the flats of San Anselmo, this 3 bed / 2 bath 1920’s remodeled cottage sits on a beautifully landscaped, private lot on a family-friendly street. 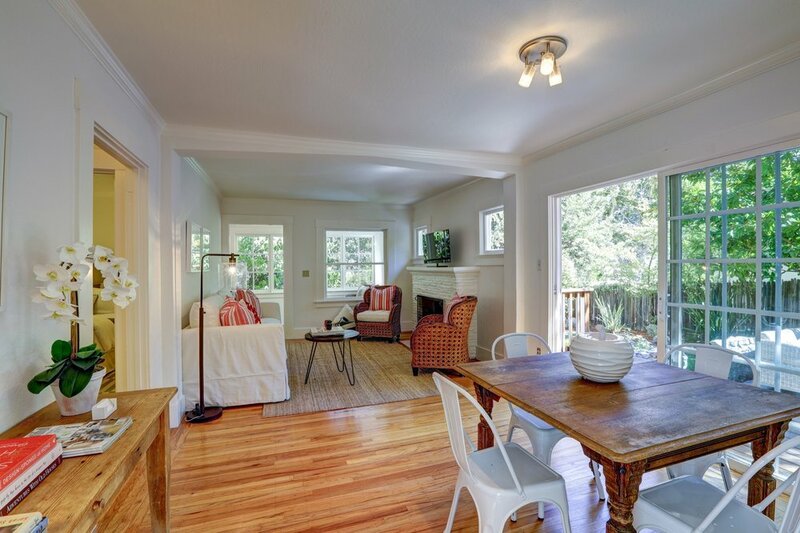 With doors opening directly from the kitchen and living room, this single-family home enjoys an indoor/outdoor lifestyle with all day sun and three level lawns surrounded by mature Sycamore trees. 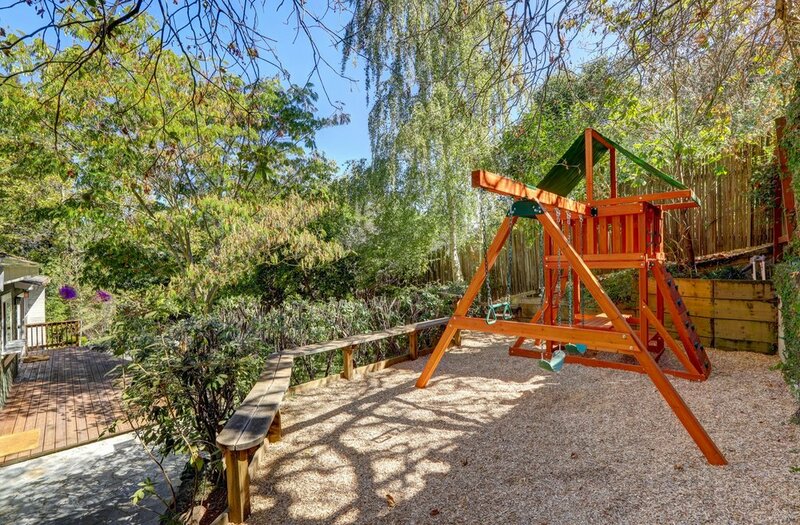 The open floor plan and easy access and sight lines to the yard make this home perfect for new or growing families. If you are looking for light, bright and vintage charm, a place you just fall in love with every day, look no further. 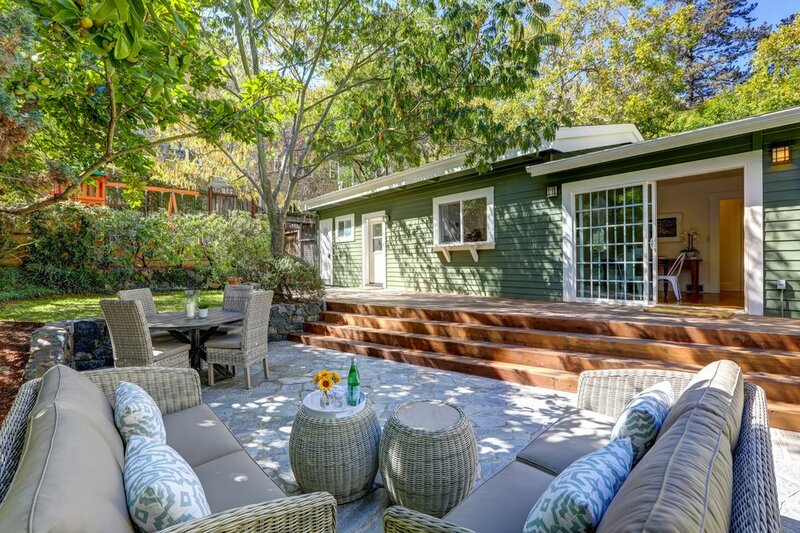 Walking through the front gate you are greeted by the garden, with a pebble stone path leading to the backyard on your left, a level lawn leading to the modern cabana detached studio to your right, and three short steps from the charming front entrance sun room of the main house. 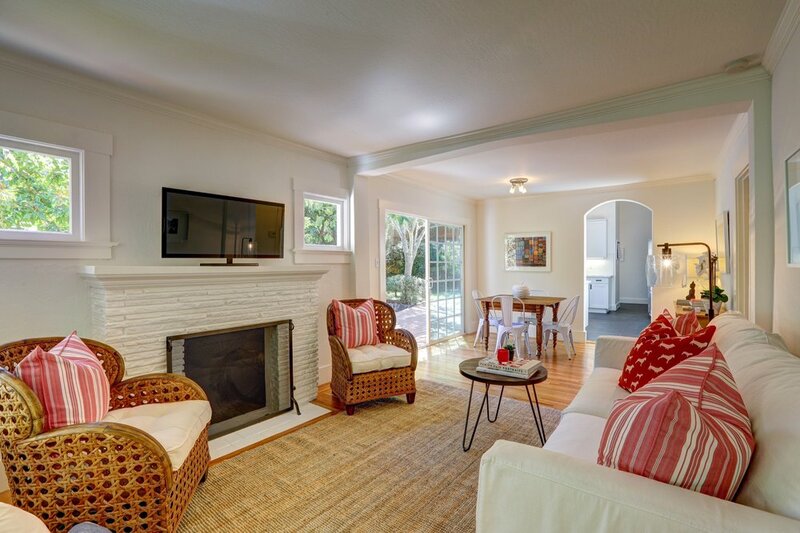 The central living + dining room is open, bright and connects to the backyard, second and third bedrooms and the newly remodeled guest bath + kitchen. 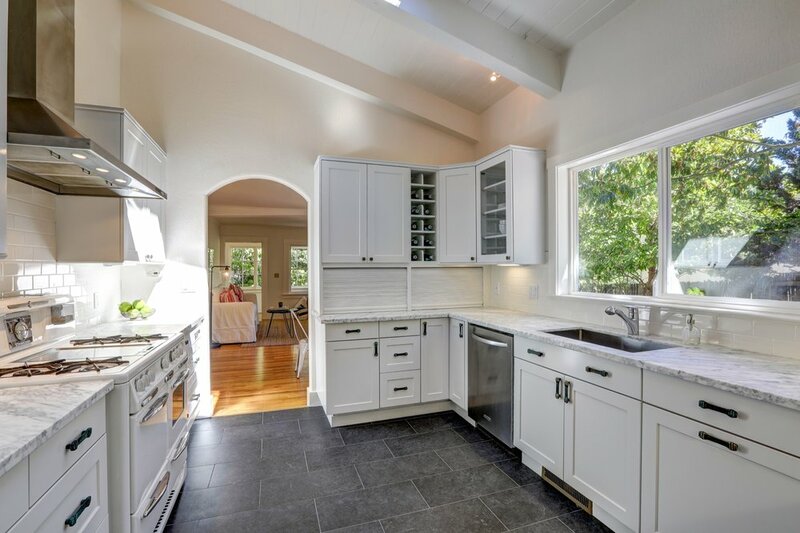 Keeping that modern craftsman vibe with vintage undertones, the kitchen and bath were both redone with slate flooring, Carrara marble countertops and white subway tiles. 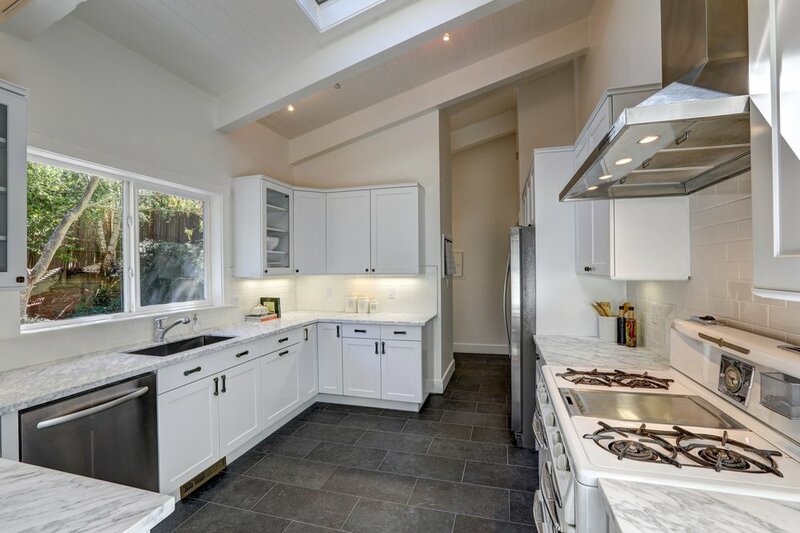 The kitchen has brand new stainless steel appliances, with the exception of the classic white Wedgewood range to maintain the homes vintage charm. 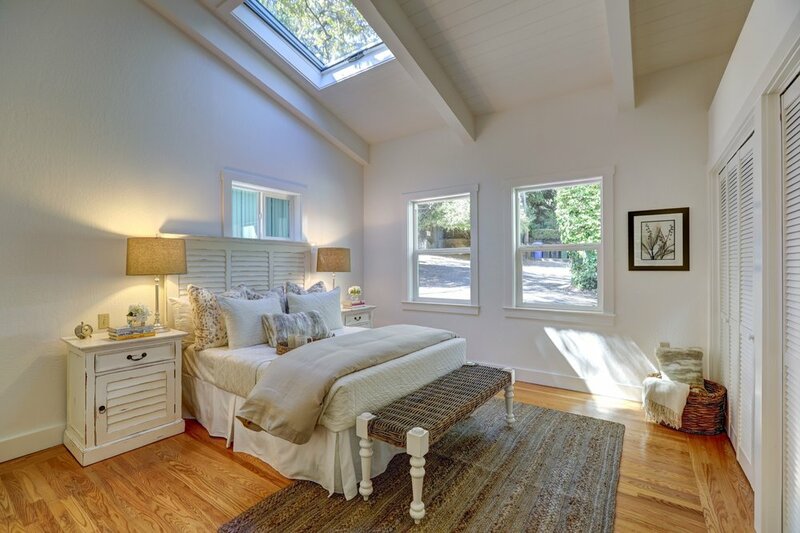 The master suite features vaulted ceilings, custom built-in closets and a brightly lit master bath. 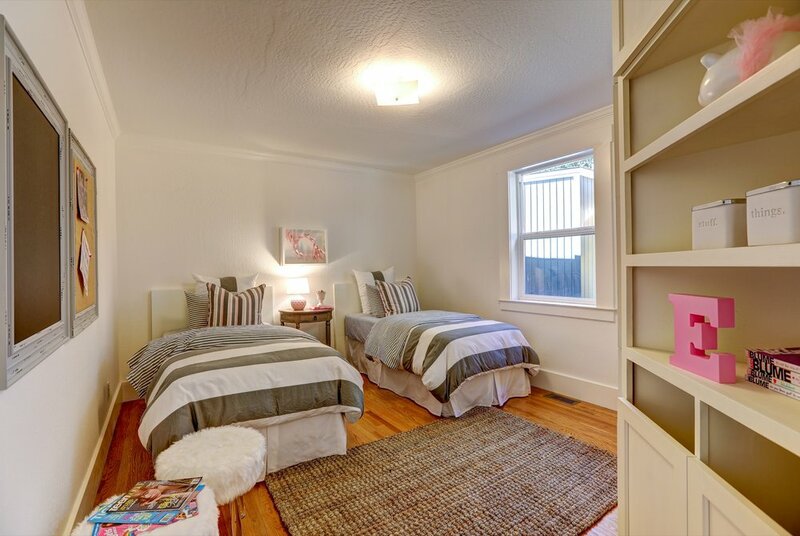 Two front bedrooms are the perfect size for two twins or a queen bed for guests. 300 Greenfield is all about location. 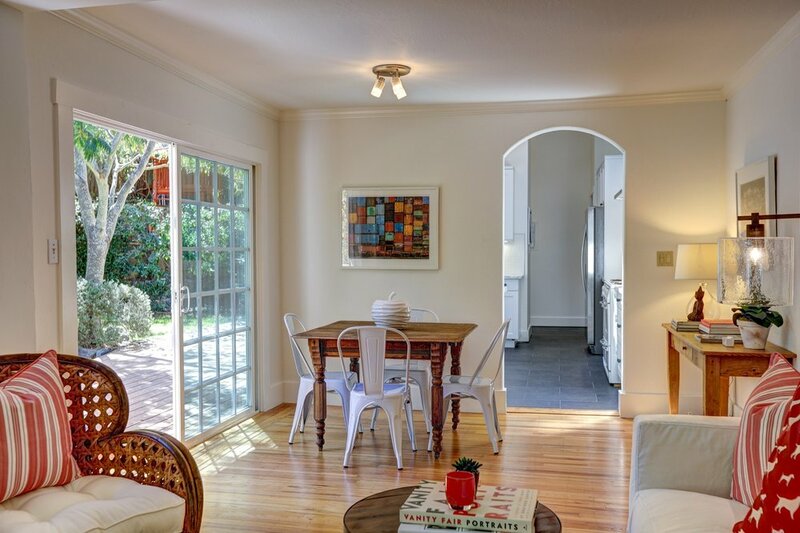 It is only a short stroll to San Anselmo’s vibrant downtown with all its shops, restaurants, cafes, galleries and more. Just across Red Hill Avenue, known locally as “Miracle Mile,” is United Market. 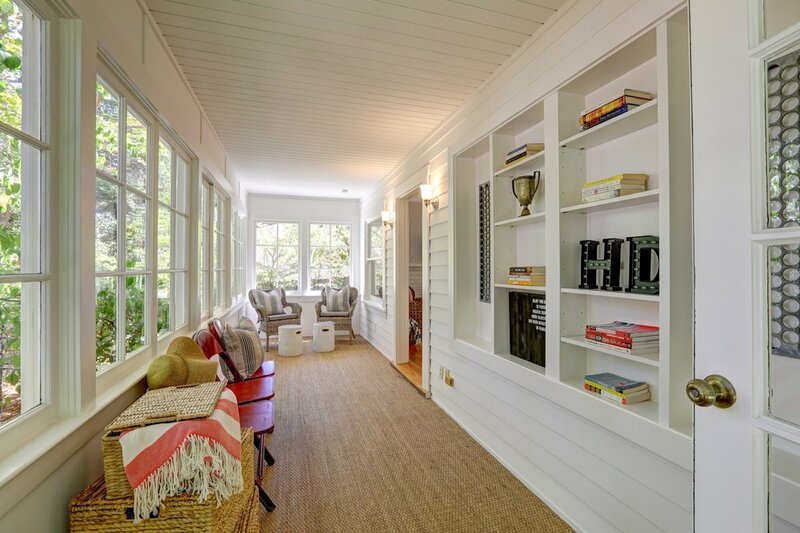 Access to the city is better here than anywhere else in San Anselmo, with a bus stop only 100ft away and Highway 101 just down 2nd Street. 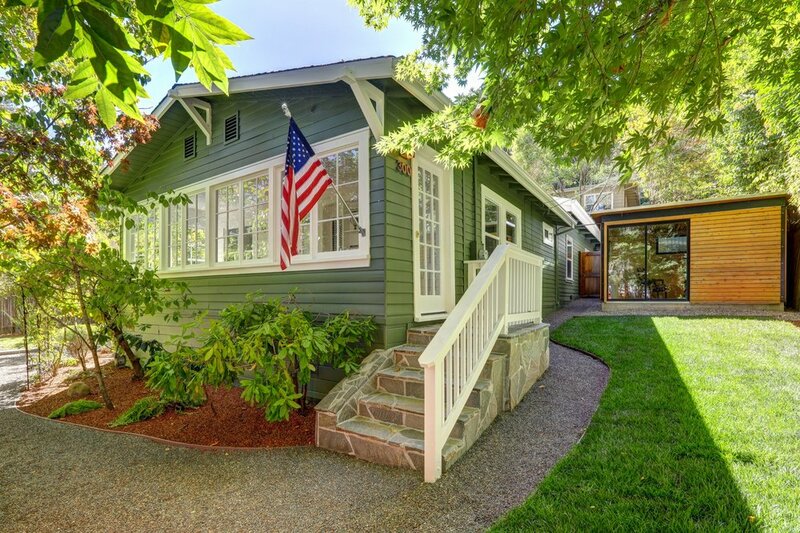 Please note that the home does NOT back up to Miracle Mile and does in fact enjoy being a part of San Anselmo’s award winning schools. 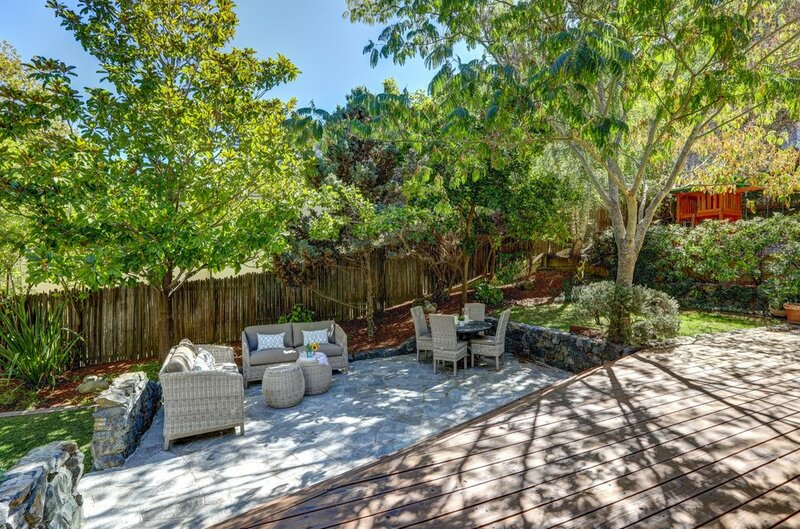 Marin County’s incredible weather makes this home the perfect spot for lounging, barbecuing, and entertaining friends and family.